Located in central New York, the city of Ithaca is the county seat of Tompkins County and home to 30,000 residents. Each fall, nearly 30,000 students make their way to Ithaca’s Cornell University, Ithaca College and Tompkins-Cortland Community College. 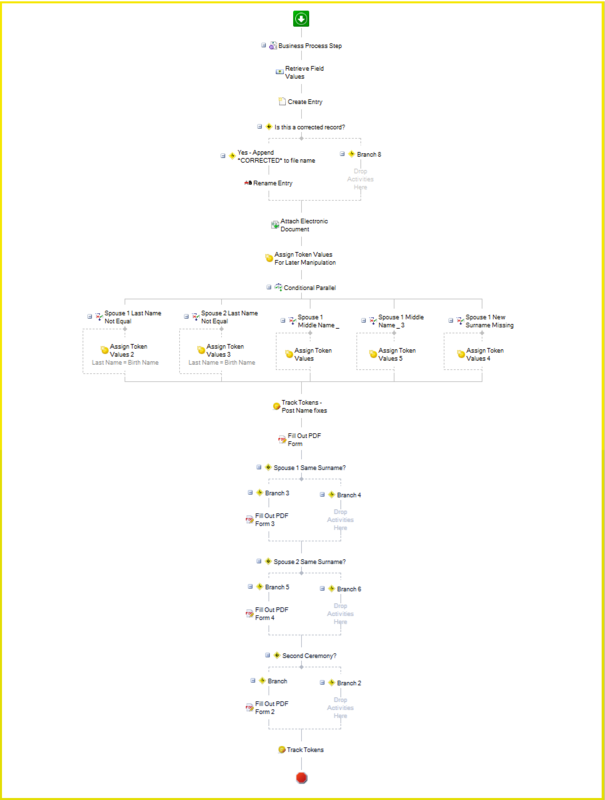 The city used to process marriage licenses using a proprietary software system that worked well for them at the time, but there was growing concerns regarding the future of software maintenance. As the system was reaching its end-of-life, the city decided to re-evaluate the process and use Laserfiche to streamline it with development assistance from their solution provider, General Code. The new process starts when the couple applying for a marriage license arrives at the license office with their official documents. 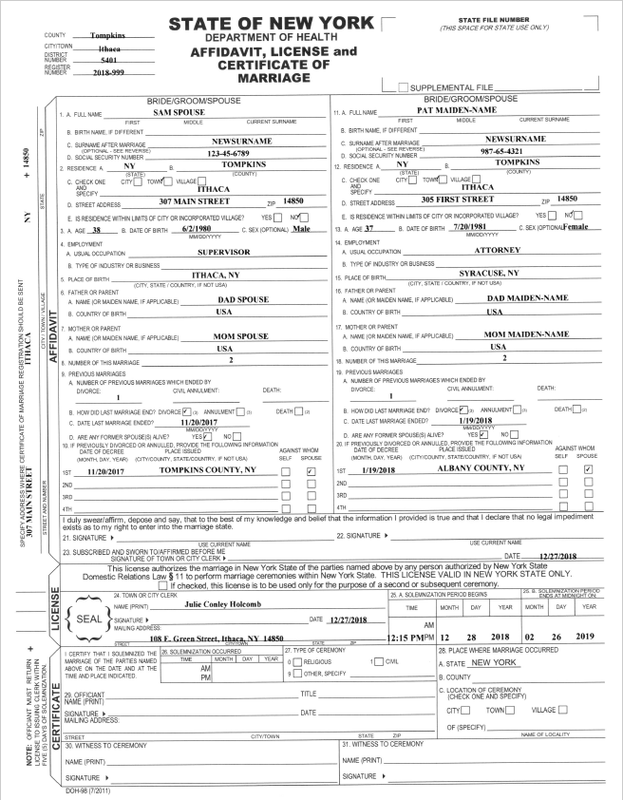 The customer service representative fills out a marriage license application form in Laserfiche Forms using the information provided by the couple. 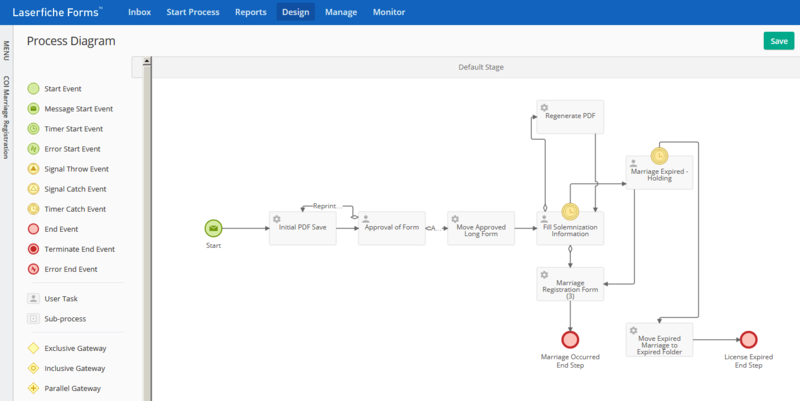 Once that form is filled out and submitted, Laserfiche Workflow creates a formatted PDF document with the information. The customer service rep prints out this document onto a paper form provided by the state. The couple reviews the printed form to make sure that all the information in it is correct. If any information is incorrect, the rep updates it in Forms and prints out another form. Once all the information is finalized, the rep approves it and the printed form is signed by everyone. The submitted form is placed in a queue awaiting information from the actual marriage ceremony. The couple has 60 days to get married from the date that they pick up the marriage license. Once the couple is married, they bring or mail the form back into the office. The rep enters the marriage information into Laserfiche Forms. 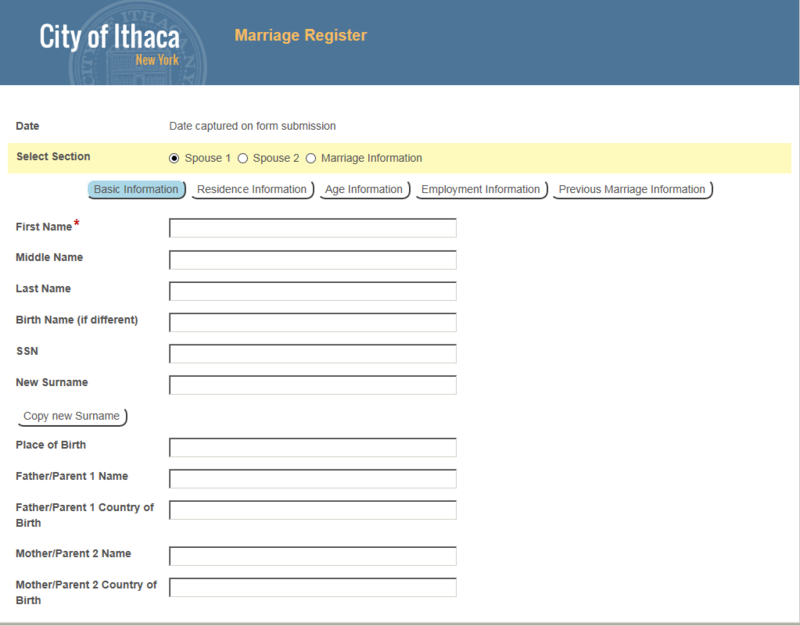 Once that information is filled out and the form submitted, Workflow generates the marriage certificate which the rep prints out and mails to the couple. The rep then scans the original, signed marriage license form into the couple’s folder in Laserfiche. If 90 days pass and the couple doesn’t return the certificate with the marriage information, the license expires and all documents are moved to the Expired folder in Laserfiche. Many citizens come to the marriage licensing office to retrieve a certified copy of their marriage records. Since all marriage certification information is stored in Laserfiche, the customer service rep simply performs a field search using some of the person’s information to find the appropriate folder. The folder either contains the original certificate information, and a scanned copy of the original marriage license, or, for all older licenses, an empty document with just the metadata that contains the appropriate information. Older records may require the rep to enter additional information from historical marriage books into the metadata fields to complete the record but once this is done initially, the task never needs to be repeated. If there is no actual certificate available, the rep launches a workflow that generates the certified transcript of the marriage record. The rep then prints this certificate on the appropriate form. This whole process takes just a few minutes. 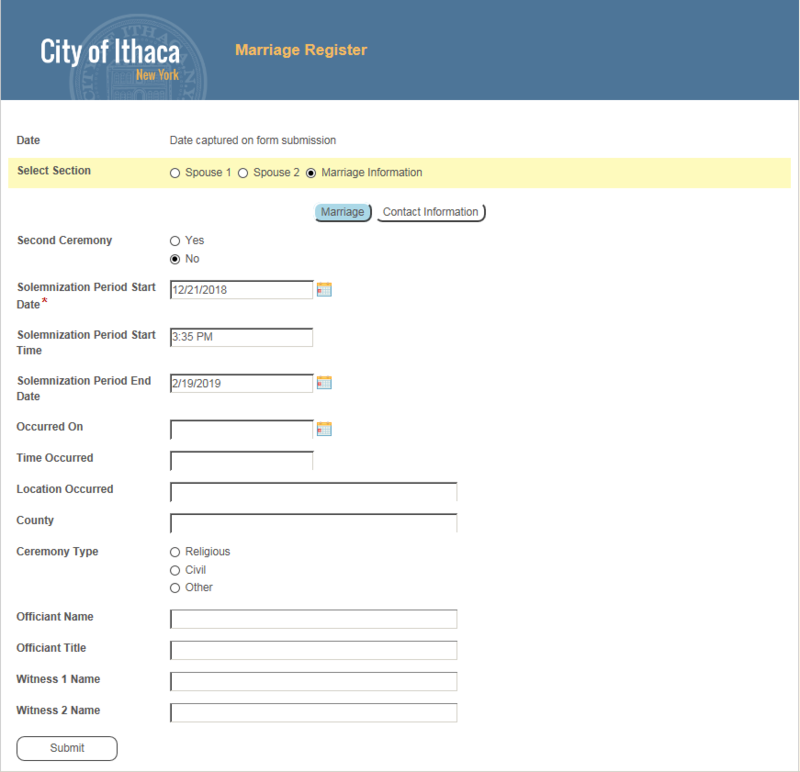 Streamlining the marriage license process with Laserfiche has resulted in many benefits for the city of Ithaca. 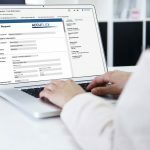 Unlike the old process, the new process can be launched from any computer with an internet connection, making it possible for people who are homebound or incarcerated to be able to apply for a marriage license. Marriage license transcripts are also much easier to retrieve since they are all stored in a central location and can be easily searched for vs. flipping through pages of older handwritten books. Town and City Clerks in New York State now have an additional product they can consider when evaluating their licensing needs. 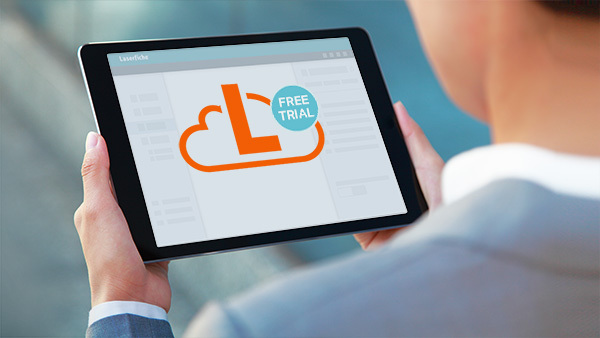 As with many Laserfiche projects, these benefits are the “gift that keep on giving.” Future generations of municipal workers will become much more efficient and effective as they will no longer need to sort through old records in questionable condition and stored in less than optimal locations.